Looking for an economical way to overcome an accessibility challenge? Freedom Lifts carries a selection of used stair lifts that are a great solution for those on a limited budget. 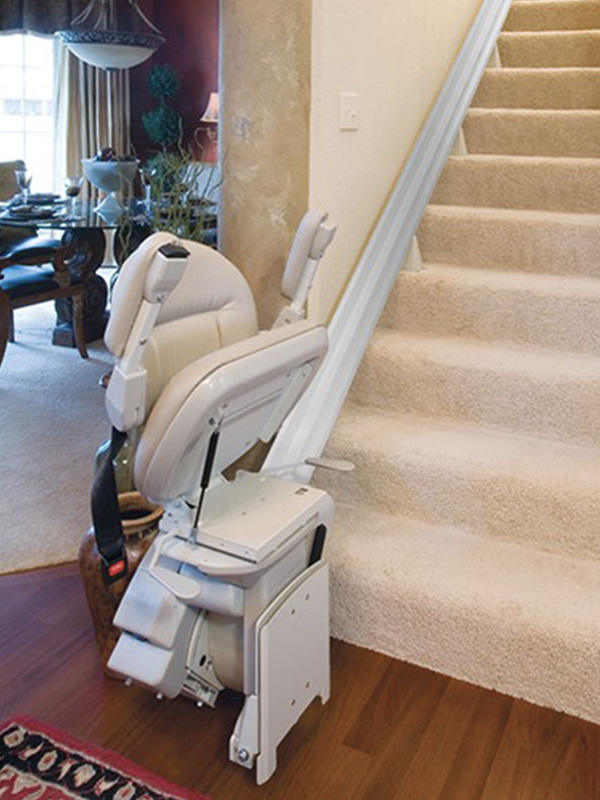 All used stair lifts come with a guaranteed warranty. Our inventory of used stair lifts changes rapidly! Recent acquisitions include the 2010 Bruno Elite and the Bruno SRE-2750 LT, which comes with seat belt, footrest sensor, up to 16′ of track, and a plush swivel seat with adjustable arm rests. If you are interested in these or other models, please call us today. We’ll be able to provide you with the most up-to-date availability and pricing. All used stair lifts can be viewed at our main office in Danielson, Connecticut.